I'm sure I'm not the only one with a love for cookbooks. I've got a bazillion of them. I had to give some away a few years ago because I read out of room!!! Anyone else "been there, done that"? This cookbook, Better Homes and Gardens, is one that will always remain on my shelf. It's got so many "old faithfuls" that I trust again and again. Their pancake recipe is WONDERFUL!!!!! Oh!! And their Chocolate Crinkle cookies are DY-NO-MITE!!! OH!!! I could go on and on, but I do love this cookbook. 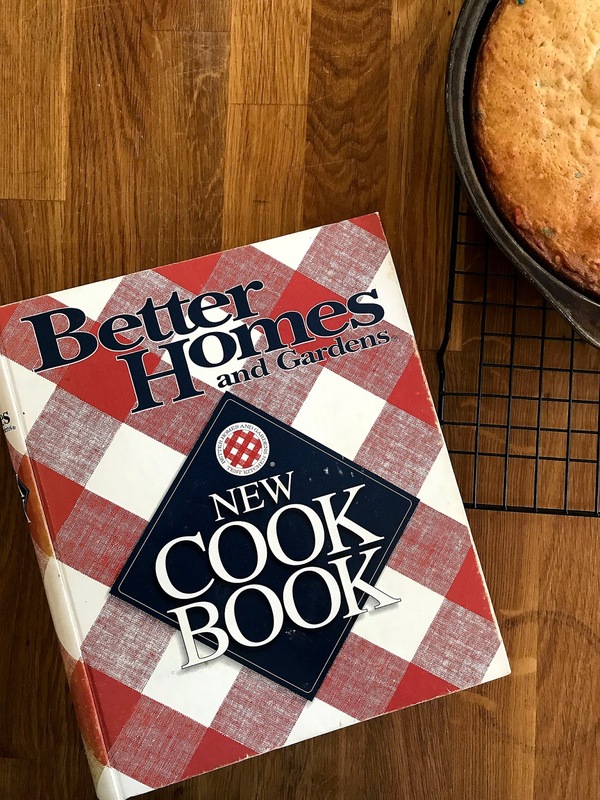 Throughout the years, the cookbook adapted to the times while remaining true to its original mission of providing cooks with a trustworthy cooking resource. The formula has worked. The Better Homes and Gardens New Cook Book -- with its distinctive red-and-white plaid cover -- is one of the world's most recognized books. In 1930, when that full-page ad claimed that there had never before been a cookbook like this one, it might have seemed quite the boast. But 34 million copies later, it's almost an understatement. I love these cookbooks. I have a small collection of different prints -- one from my grandmother, who wrote over all her favorite recipes. Another from a dear friend, who added 'post its' all over the book; and one of my own, that is the current printing. Thanks for sharing with #HomeMattersParty!